\How It’s New York: Jack Coen (who was based in the Bronx), John McGann and Barney McKenna inspired and taught some of the musicians playing around the city today. .
A brilliant mandolin and guitar player, John McGann passed away on April 6. Although his talent spanned several different musical genres, McGann was best known in Irish music circles for his magnificent work with accordionist Joe Derrane. A teacher at Berklee College of Music, McGann inspired an entire generation of musicians, but it was his work with Celtic Fiddle Festival that first inspired Flynn Cohen, a Boston-based guitarist with whom he would forge a special bond. In McGann, Cohen found a mentor, someone who trusted him with the music and showed it by recommending him for gig after gig (including with John Whelan’s and Cathy Ryan’s bands). To Cohen and many others, McGann was an example of music done right with a character to match. 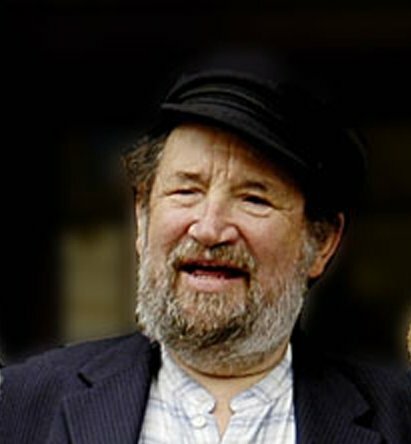 For decades, Barney was one of the music’s household names, both for his work with the Dubliners and for bringing respectability to the tenor banjo in Irish music. Hoeing the rocky row for the likes of Mick Moloney and Mick O’Connor, it took time for Barney to prove the instrument’s mettle. James Keane, for example, remembers Barney standing down Dublin Piper’s Club managers Jim Seery and Paddy McElvaney at the Club’s door one rainy night in the very, very early days. Because Seery and McElvaney thought the long-necked instrument Barney had was a guitar, they’d taken him for a rock-n-roller. It wasn’t until he’d lilted reel after reel at their insistence that they granted him – and his banjo – entry into the Club. While people have celebrated the musical legend that grew over the years, Dublin-based banjo player Pádraig Drew – Barney’s longtime personal assistant – told me that there were few who knew him outside the Dubliners bubble. Drew (whose family was long close with the McKennas) recognized the privilege and reveled in Barney’s company, listening carefully to the humor and the stories and had unusual perspective on the “lovely touches” in his music. The musical guidance he received was canny and always pure “Barney”: “The plectrum was like a little bird.” Barney once told him. “If you hold it too tight, you’ll kill it, but if you don’t have it tight enough, it will fly away.” After Barney, banjo technique developed in many directions and there are few who carry on Barney’s playing style nowadays, but you can still hear his memory right there in Drew’s playing. It was a shock to wake up on Easter morning to the news that Jack Coen had died. A proponent of the east Galway style, and member both of the seminal New York Ceili Band in the 1960s and of Green Fields of America in the 1970s-80s, he was one of the last of the old guard and was rightly named a National Heritage Fellow in 1991. Coen was a brilliant musician – in many ways the conscience of the scene in New York City – but he may be best remembered for the generosity with which he shared his music, as there is scarcely a NYC-based musician that he did not somehow touch (including Cherish the Ladies’s Joanie Madden and Chulrua’s Patrick Ourceau, to name but two). He trusted his students to steward both his abiding respect for the music and his commitment to tune version and tempo. It is no surprise, then, that his students nourished the New York scene for decades, helping the music grow and thrive. While we must bid farewell to these legendary musicians, we know their music lives on in the students with whom they entrusted the tradition.